Lightweight water bottle, does not affect the flavor of the water. First off, I am very picky about the taste of water. That may be weird but I just really enjoy the taste of clean, crisp and pure water. 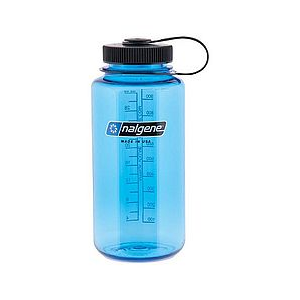 I used to use plastic Nalgene bottles but always found the bottle changed the flavor of the water a bit. Forget water bladders, they make water taste real bad in my opinion. That is where Sigg came in. I bought four aluminum Sigg water bottles about 5 years ago and I haven't looked back. 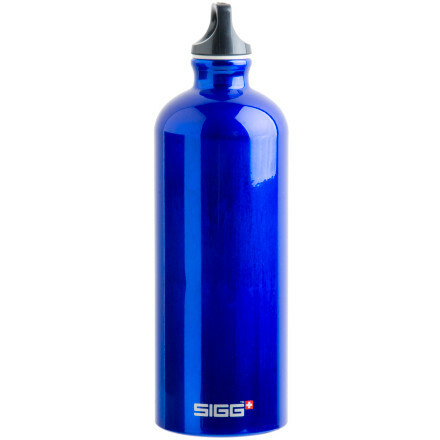 The Sigg aluminum water bottles do not affect the taste of the water at all. I have used my Sigg water bottles extensively over the last 5 years and they are still going strong. They look a little beat up and faded but still function well as they should. They do dent fairly easy, but a few dents just give character in my opinion. One reviewer mentioned the lining peeling off where the lid screws to the bottle. I have to agree with that. I have noticed the same thing. However, I really don't think it is a problem because it's only where the lid screws to the bottle. The lining in the bottle itself still looks the same as the day I bought the bottles. Generally speaking, the lining hasn't been compromised even in the dented areas of the bottles. The insulating properties of these bottles are not that great. Cold water turns to lukewarm water fairly quickly in a warm environment. Water will freeze in these bottles very quickly in sub-freezing temps. The bottles have froze up solid on me a few times during cold winter camping trips. Just something to be aware of. I have put Powerade and even certain adult beverages in these bottles and the bottle never retains any residual flavor from other liquids. I usually soak mine in hot dishwater for a few minutes and then rinse really well for the next trip. 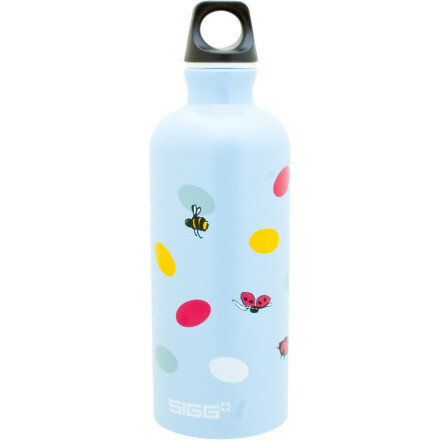 I will continue to use my Sigg bottles and I highly recommend them if you like the taste of pure water. I had my SIGG for about 6 months and the liner started to wear and flake off around the thread area (Where the cap screws in). I guess it was due to the wear and tear of opening and closing the cap. Look closely around your thread area and ensure that none of the aluminum is exposed. The lining is yellow. If you see any silver, that’s aluminum. Aluminum, if leached into the water, can cause Alzheimer's disease. I have switched to a Laken bottle and it does not have this problem. See how they solved it at www.laken.es. I originally bought a black sport top 1.0 liter Sigg in January 2008. I used it religiously until I put it in the freezer in May and it cracked. 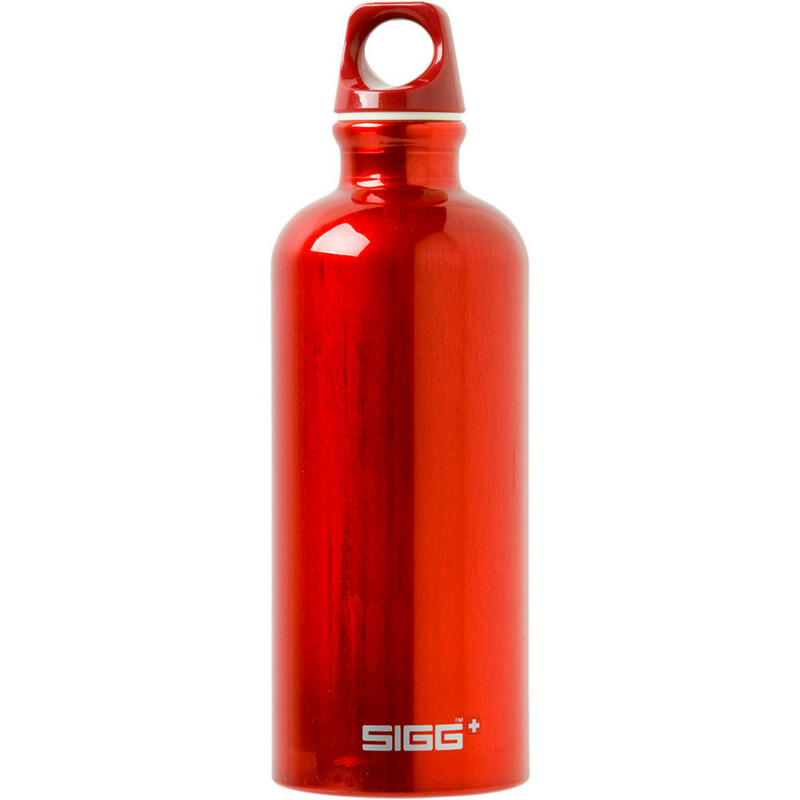 I realized later -- upon reading their site -- that was a no-no for a Sigg. I replaced it since and have had the same excellent experience as my previous one: no bad taste, smell, etc.. 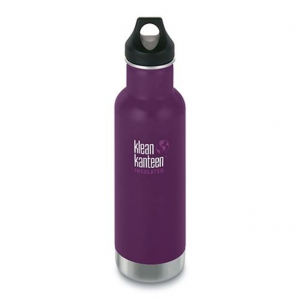 It's very durable and keeps liquids cool for longer periods of time than plastic. I recommend a sport top as it's much easier to work with v. a screw top. 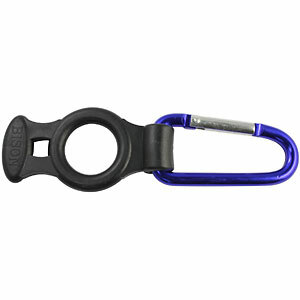 Although, the screw top has the advantage of a loop to hook when hiking. Overall a great choice and alternative to plastic (even the BPA free kind) because of its durability. The one tricky part is that it dents fairly easy and it can cause less stability. But hey, that's the nature of aluminum! Highly recommended!! I have two of these bottles. I originally purchased them to carry beer on camping trips. They worked perfectly for it as they hold pressure and the lining doesn't leave a taste or absorb tastes. Now I take them to work every day full of water. I take them with me everywhere. I recommend them to anyone who will listen to me. 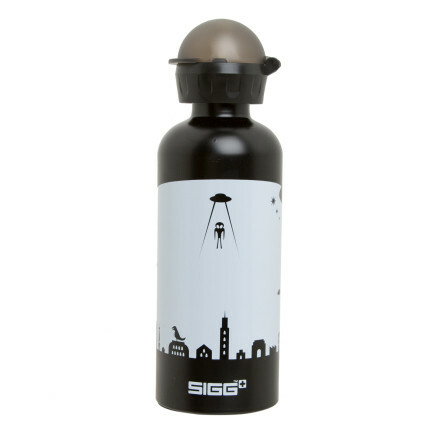 The SIGG Lifestyle Bottle 1.0 Liter is not available from the stores we monitor. It was last seen March 13, 2014	at Gear for Adventure.